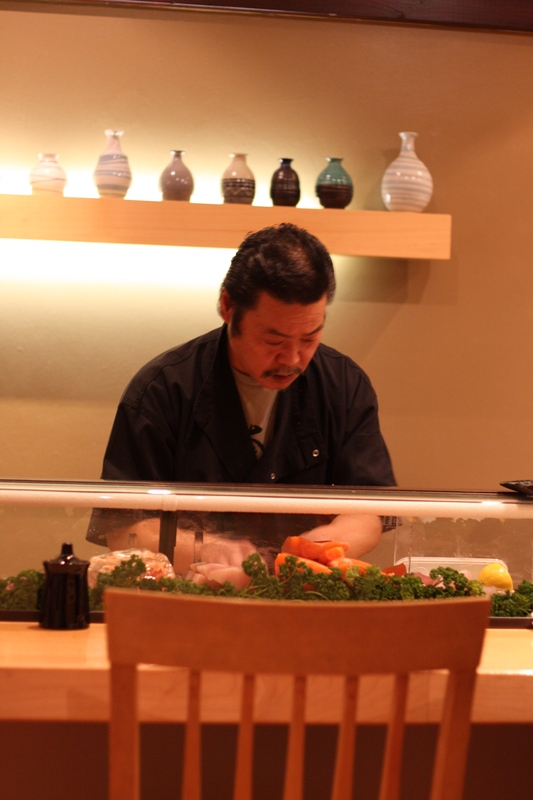 Shiranui is the first (and to date, probably the only) Japanese restaurant I really like in Melbourne. Not that the food is Michelin-quality, but this eatery has never failed to please my taste buds with very simple but well-prepared dishes. I have been here no less than three times, so the photos in this post will includes a few from past visits. Run by Chef Hiro Nishikura, this restaurant barely accommodates 20 guests, and they usually have seatings at 6pm and 8pm. You may choose to sit at the counter, but that means you have to also settle for the omakase menu, which means that you will be served pre-determined set of sushi, usually around 9 courses. No worries if you are still not satisfied or simply want to indulge a little more, you are free to go for additional rounds. 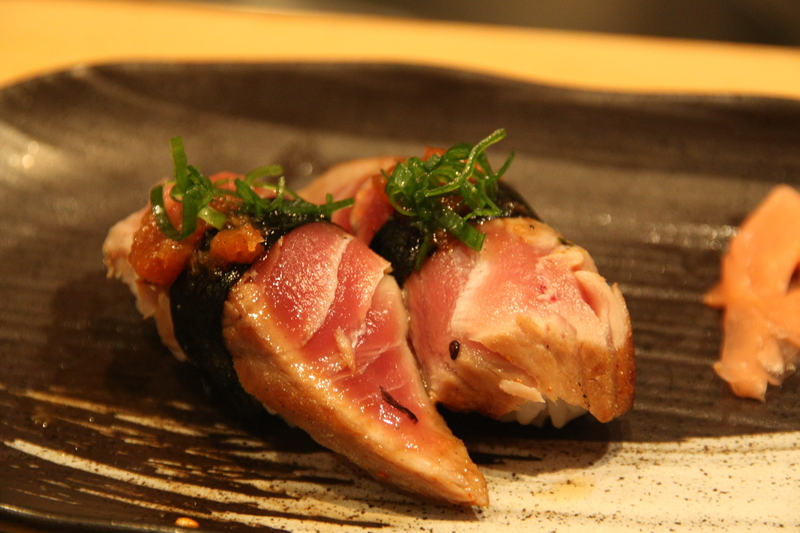 The omakase menu would cost slightly under hundred, unless you really can’t control and go for extra serves. Alternatively, their ala carte menu offers a wider range of dishes which are also very enjoyable. Each serving of sushi comes in 2 pieces, and you will not receive the same dish again through the night. Also, some items will come pre-seasoned, either with some sauce or brushed with lemon juice and salt; the waiters will tell if you if each item requires soy sauce or not, and so far I never had problems with seasoning. Perhaps one small issue I have is that the list of sushi never really seems to change much, and I have probably tasted the same few dishes every time I visited. But that cannot really be helped given that the sushi courses are selected from a list of about 20-odd items (which is pretty substantial) and that I’ve beent here on a few occasions. Nonetheless, I still enjoyed them every time I’ve been there, and so have the people who were there with me. What I like about the sushi here is that the rice is neatly packed and has the right firmness. All the items are also prepared in the simplest ways to allow you to enjoy their natural flavours, and none of the sauces or seasoning are too overpowering. If you are one who enjoys watching the chef preparing your food and also having the chance to interact with him, do sit at the counter. Notice also that he tends to get more chatty as the night progresses, which I believe is because of his consistent intake of sake through the night. This place definitely deserves a visit. Like I said, no it’s not top notch culinary display, but it sure as hell makes you want to revisit them (if your budget permits).